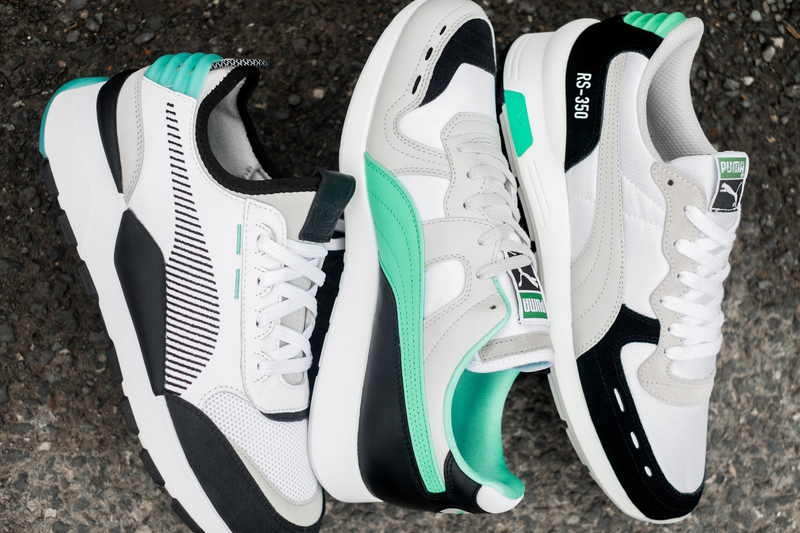 Referencing their extensive archive PUMA welcome back the RS runner series, but with a contemporary twist. PUMA’s Creative Director, Heiko Desems has stripped back archive runners, before building them back up to create the new ‘RS Collection’. 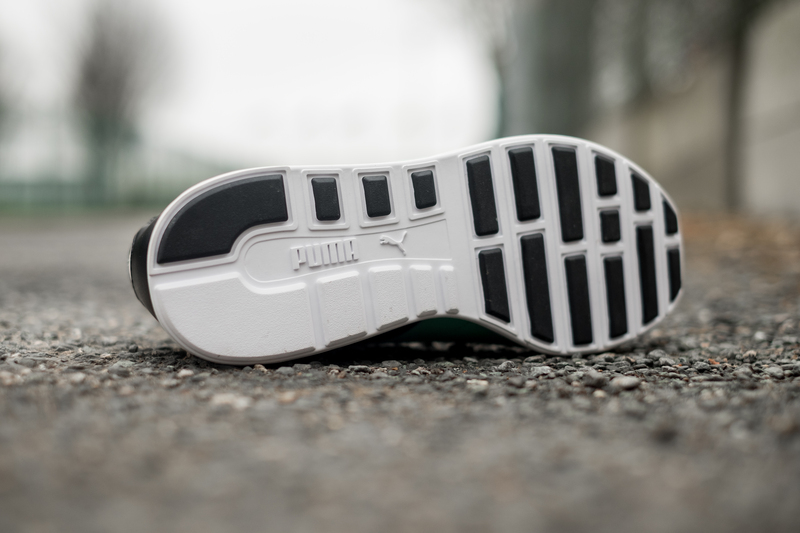 The RS-0 silhouette marks a starting point for PUMA. 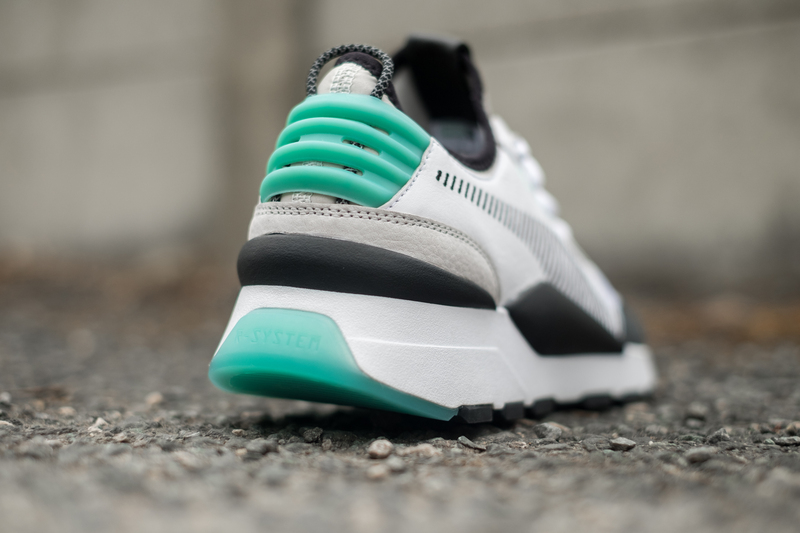 The new design celebrates PUMA’s past, while embracing their future. 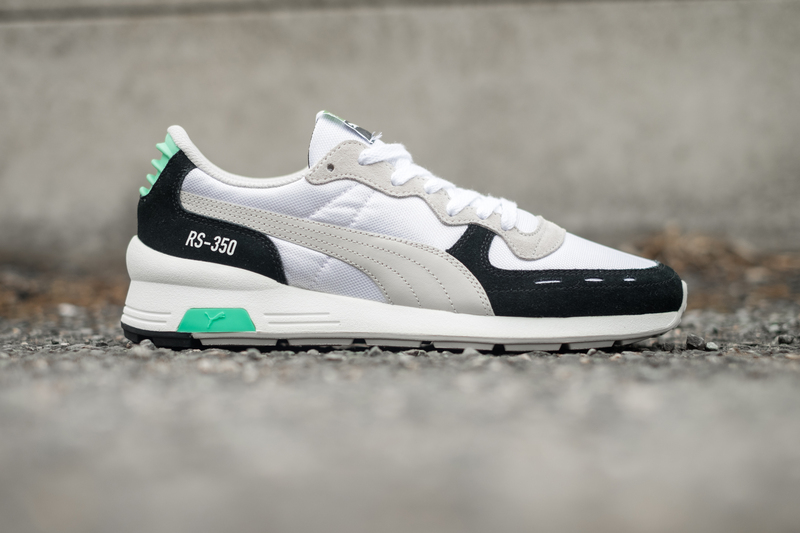 A progressive runner, the PUMA RS-100 was originally released in 1986. The forward thinking ‘RS’ or ‘Running System’ was ahead of its time in terms of technology and performance. Fashionable without compromising on comfort. 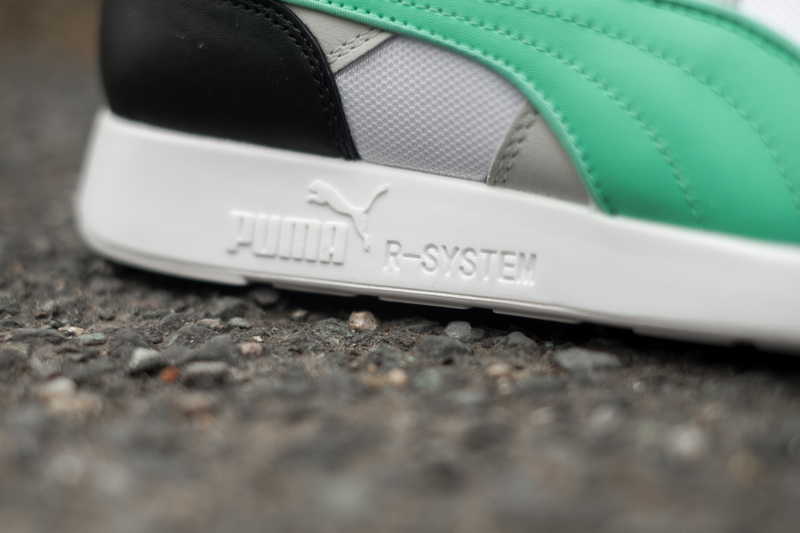 Continuing to push the envelope in terms technology, PUMA followed the RS-100 with the groundbreaking RS Computer shoe. The RS Computer shoe was the first ever training shoe to feature analytical data saving, giving runners the power of computing to aid performance. 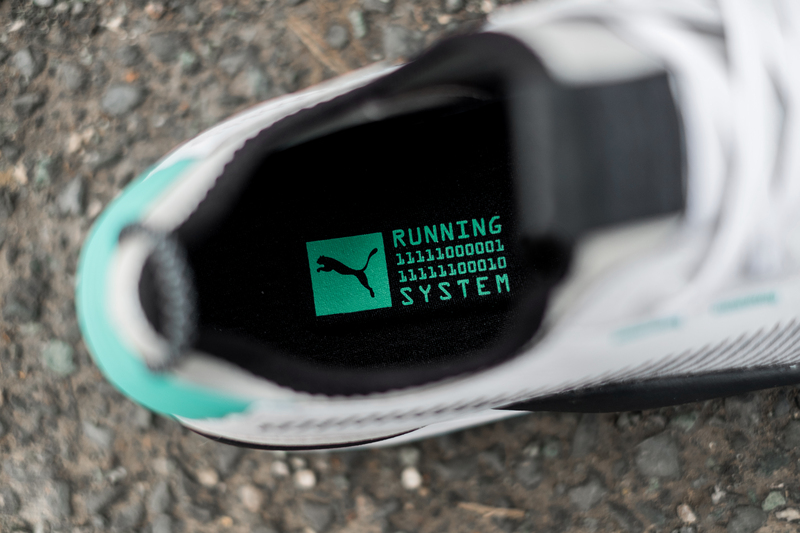 The RS Computer featured a built in custom-designed chip embedded into the right heel that automatically recorded your distance and time. The recorded data could then be transferred to any Apple IIE, Commodore 64 or IBM PC. 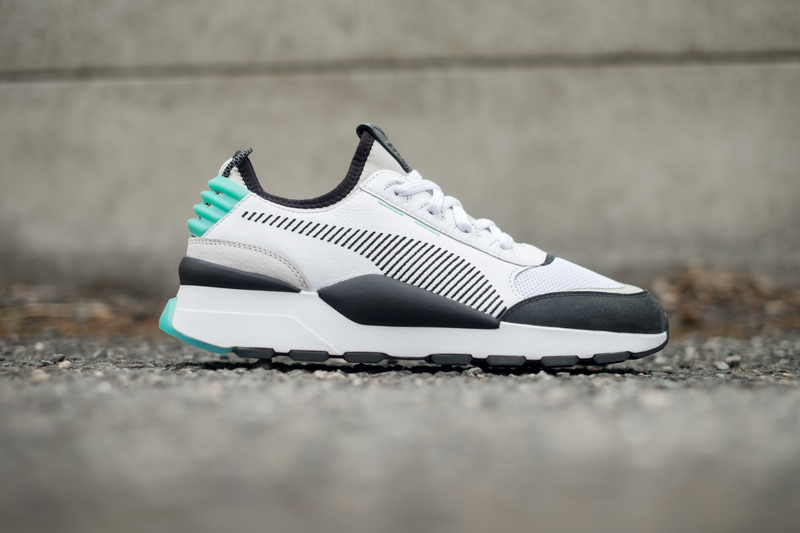 Taking inspiration from 80s RS technology PUMA have literally rebooted the series, introducing the new ‘future-retro’ RS-0 silhouette. The RS-0 will sit alongside contemporary interpretations of the RS-100 and RS-350 as part of the collection. 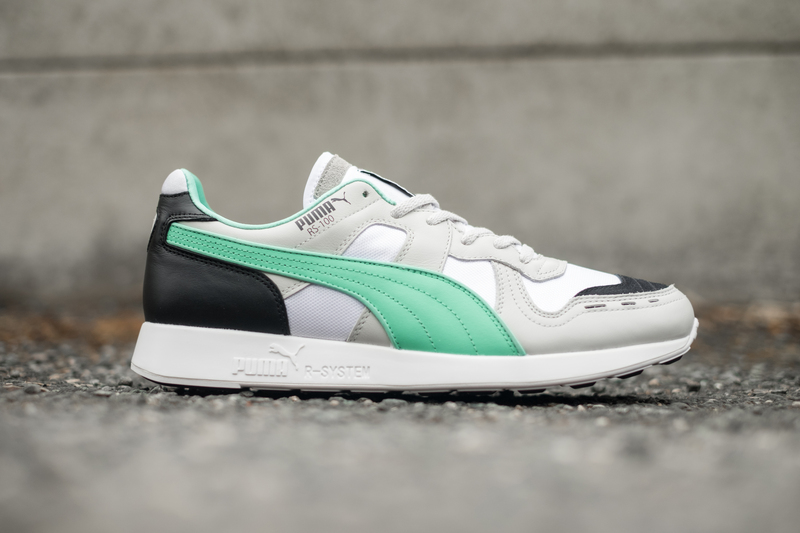 The futuristic renditions have been re-issued using PUMA’s iconic Archive Green. The PUMA RS Collection is available online and in size? stores now, with the RS-100 priced at £80, the RS-350 priced at £85, and the RS-0 priced at £90. 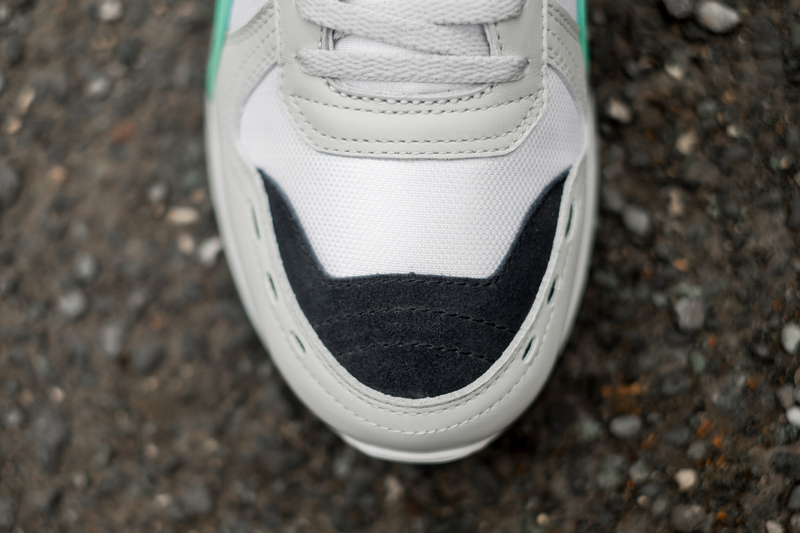 Constructed from suede, mesh and leather the re-worked RS-100 features the classic R-System midsole, Archive Green leather Form stripe, a black suede toe box and retro gold PUMA RS-100 branding on the side wall. 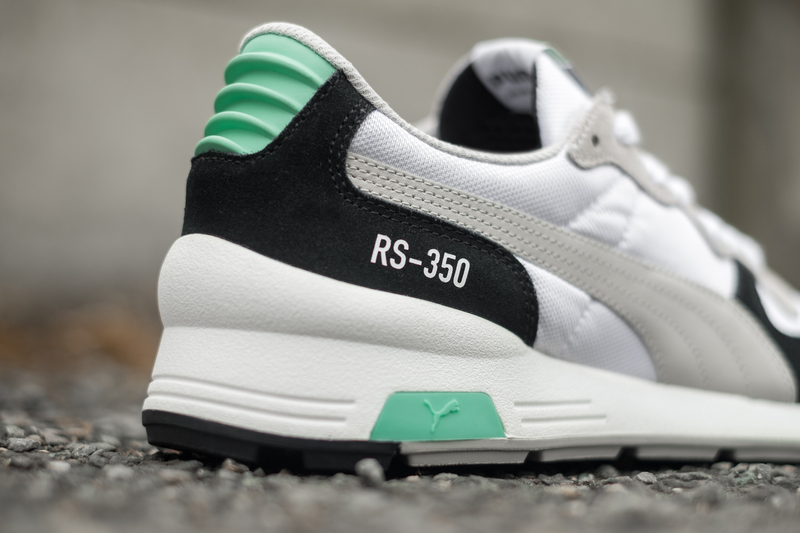 Releasing after the success of the RS Computer, PUMA continued the RS series with the introduction of the RS 350 in 1987. 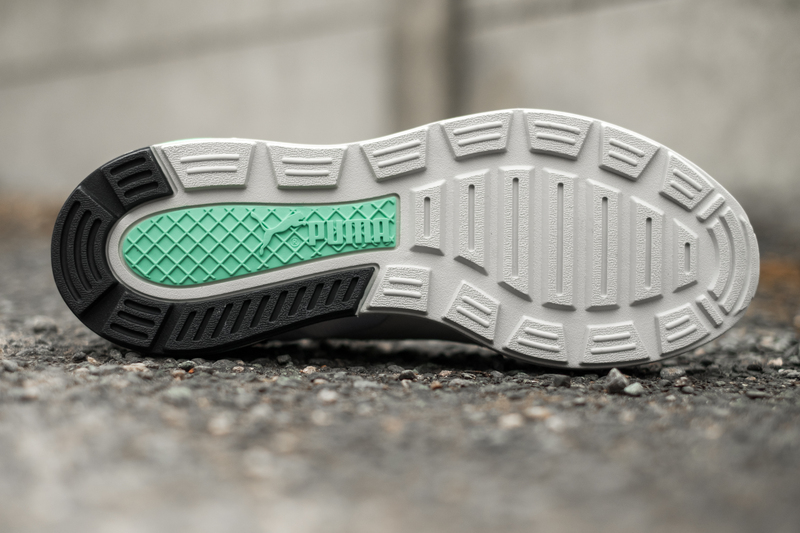 The contemporary 350 iteration is constructed from mesh upper, with a tonal Form stripe along the sidewall, a combination of tonal mesh and black suede on the toe box and Archive Green branding on the cushioned outsole. 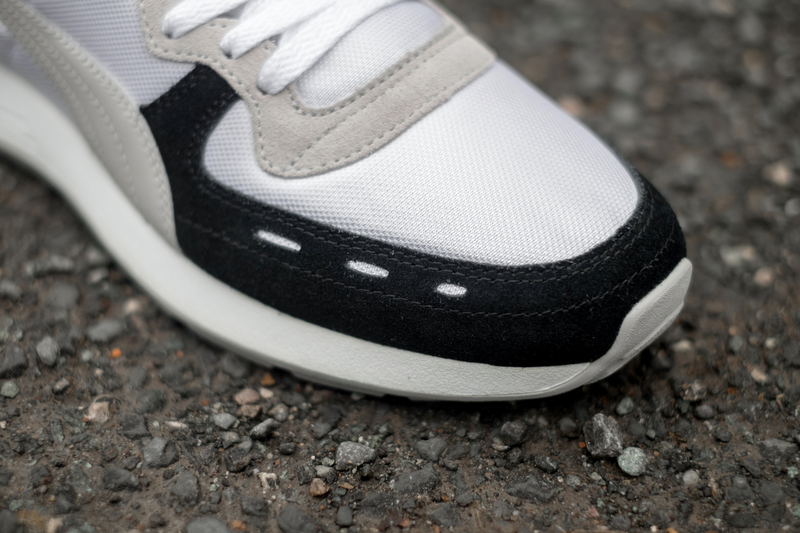 Slightly slimmer than the RS-100, the RS-0 is constructed from premium materials, featuring high-end midsole cushioning technology on top of a rubber outsole, plastic ribbing on the heal, leather tongue branding and a stitched black Form stripe on the sidewall.